On 6th March 2018 CLEAR submitted a Freedom of Information Request to the Home Office asking for full details of the licences accounting for the legal production of cannabis in the UK. 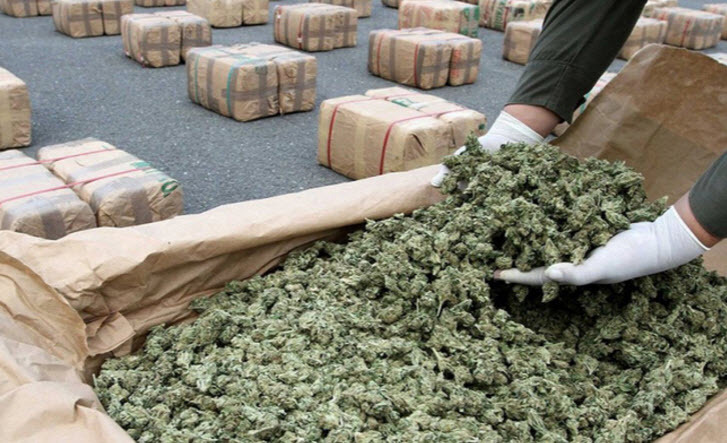 This arose from the story which we broke on 4th March revealing that the UK is the world’s largest producer and exporter of legal cannabis, this according to data provided to the International Narcotics Control Board (INCB) by the government. The Home Office has refused the request. Its grounds for refusal are that disclosure “would, or would be likely to, prejudice the commercial interests of any person or would be likely to prejudice the prevention or detection of crime“. Presumably this means that the commercial interest of GW Pharmaceuticals and whoever else has been granted such licences would be prejudiced and that they would risk robbery or other crime at their places of business. We consider this to be false and without any merit whatsoever. How would it prejudice anyone’s commercial interest? We would not expect any detail that goes behind the licence holder’s normal commercial confidence and it must be right that the identity of those companies or individuals licenced to produce cannabis should be on the public record together with outline information about the terms of the licence – what is it for, for what period, in what quantities. Furthermore, with the security precautions required for such a licence, any attempt at crime would be foolhardy and utterly stupid. It would be much easier either to import or produce your own cannabis. The sort of criminal enterprise that would be required to raid, for instance, one of GW’s grows would be on a grand scale, incredibly risky and with sentences probably higher than for production of cannabis. It’s quite clear that this refusal is simply an excuse, probably to cover-up not only the extent of the licences but also the basis on which they have been issued. Of course, the Home Office has pre-empted the next step in a FOI request and states that “the public interest falls in favour” of not providing this information. We consider this to be nonsense. It is clear that the public interest (not just the interest of the public) is very much that the issue of such licences should be a matter of public record. It is outrageous that this information is being kept secret. 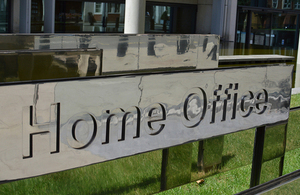 The answer to the second part of our FOI Request provides further insight into how little trust can be placed in the Home Office and demonstrates that its answers are dishonest. 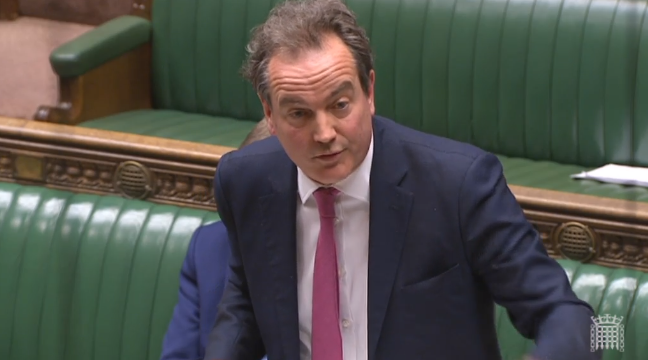 In answer to a written question in Parliament on 1st March 2018, Home Office minster Nick Hurd MP said “No licences for pharmaceutical companies to grow and process medicinal cannabis for exportation to other countries have been issued.” However the INCB report, which information can only have come from the Home Office, shows that in 2015/16 the UK exported 2.1 tons of medical cannabis. We asked for an explanation of how Mr Hurd’s answer is consistent with the facts reported. It is clear therefore that the Home Office has given two different answers to the same question and that the answer given to the INCB is correct whereas the answer given by Mr Hurd is without doubt intended to mislead Parliament. It also seeks falsely to create a distinction between Sativex and other forms of cannabis which is manifestly and beyond doubt another deception, based on information published by GW Pharmaceuticals which CLEAR revealed in 2016. In summary therefore, the Home Office has refused to answer the FOI Request in relation to licensing on grounds which are entirely spurious and has demonstrated that it is actively engaged in deceiving both Parliament and the public on the export of medicinal cannabis from the UK. We anticipate this will be a whitewash and further attempt at a cover-up. Thereafter we have a right to complain to the Infomation Commissioner. At this stage we would also seek to mobilise support from MPs with an interest in this area. Ultimately, we may be able to apply to the High Court for judical review of the Home Office’s decision and we will consider mounting a crowdfunding campaign to enable this. This is the astonishing fact revealed by the International Narcotics Control Board (INCB) in its 2017 report on narcotic drugs. In the UK no one has any legal access to any form of cannabis except exempt products derived from industrial hemp, most commonly CBD oil. Theoretically, the cannabis medicine Sativex is available but in practice, in England it is virtually impossible to obtain it except on a private prescription as the National Institute for Health and Care Excellence (NICE) has recommended that it is not cost effective. In Wales it is available on prescription but doctors are first required to try highly toxic and dangerous drugs such as baclofen, tizanidine, gabapentin, pregabalin, even botulinum toxin or opioids. The reality is that UK citizens are denied access even though their country is producing and exporting vastly more cannabis even than countries such as the USA, Canada, Israel, the Netherlands and Italy, all of which have legitimate and well regulated medical cannabis provision. This revelation will further inflame the sense of righteous injustice in the UK. Against this background the UK continues to prohibit even medical use and is stubborn and intransigent in even being prepared to consider or discuss the evidence in favour. 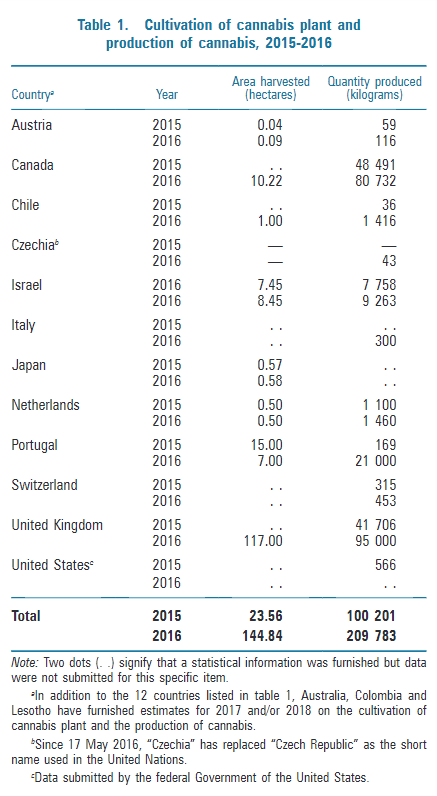 How can the country which sanctions the legitimate production of more medical cannabis than any other in the world deny its own citizens legitimate access? Surely it’s Unethical for an ‘Impartial’ BBC Journalist to Switch Instantaneously to a Political Candidate? An Outlaw Parliament Against The People. Time To Bring Our Corrupt MPs Down. People of Cannabis, the ‘M’ Word is Exactly the Same as the ‘N’ Word. Rule It Out. Two MPs Who Aren’t Fit And Proper Persons To Be In Parliament. But How Many of Them Are? Cannabis and CBD. UK and EU Bureaucrats -v- The People and Parliament. While The NHS Is Failing People, Small CBD Companies Are Stepping Up. The Contemptible, Incompetent Members of Parliament. Last Week The Anti-Cannabis Gutter Press Launched An Attack On Mike Barnes. This Week It’s My Turn. Bring Billy Home. The NHS Has Denied Him His Medicine Again. He Is Back In Canada.